Can Jakub Voracek keep up his 100-point pace and win the Art Ross Trophy as the NHL’s leading scorer this season? Time will tell, but next to nobody envisioned his name atop the scoring race at the All-Star break. That is just one of many surprises to this point and the best is still to come. Imagine, for a moment, that the NHL season ended today. • The Nashville Predators and New York Islanders would win their respective division titles after both missing the playoffs last season. • Jakub Voracek would win the Art Ross Trophy as the league’s leading scorer, on pace for exactly 100 points. • The Winnipeg Jets, Vancouver Canucks and Calgary Flames would ALL be playoff teams in the Western Conference — after ALL missing last season — while the Edmonton Oilers would be a lottery team AGAIN! • The defending Stanley Cup champion Los Angeles Kings would miss the playoffs. • Pekka Rinne would probably win the Vezina AND Hart trophies, bouncing back from an injury-plagued, potentially career-threatening campaign. • Nikita Kucherov would lead the league in plus-minus, the top 5 in that category would all be under 25 years old, and 4 of them would be Europeans. Crazy times, indeed. But fun times, full of uncertainties as we head into the stretch run. 1) Anaheim Ducks vs. WC2) Calgary Flames = From October on, everybody has been claiming the Flames are overachieving, but here they are, 47 games into the season and still occupying a playoff spot. They come out of the All-Star break with three straight home games against non-playoff teams in the Buffalo Sabres, Minnesota Wild and Edmonton Oilers. Maybe we should all stop waiting for the wheels to fall off and start believing . . . or dare I say jump on the Flames’ bandwagon? They have a long way to go and even if they make it, most would expect them to be easily swept aside — literally, swept — by the top-seeded Ducks. Calgary has been defying the odds (and advanced statistics) thus far and has been riding a hot Finnish goaltender in Joni Ortio lately, which is giving some fans flashbacks to 2004 and the days of Kipper’s dominance. Anything is possible, but if this series came to fruition, smart money would obviously be on Anaheim. 2) San Jose Sharks vs. 3) Vancouver Canucks = This would be an intriguing matchup. For whatever reason, the Sharks always seem to underachieve in the post-season, and besides the 2011 run to the Stanley Cup Final, the same can essentially be said about the Canucks of years past. Both teams are top-heavy on offence and thin on the blue-line, with starting goalies that have suspect track records when it comes to playoffs. Antti Niemi does have a Stanley Cup ring from his Chicago stint and the Sharks appear to be deeper overall, not to mention hungrier to (finally) silence their critics. Take San Jose in a spirited seven-game series. 1) Nashville Predators vs. WC1) Winnipeg Jets = Playoff hockey in Winnipeg would be wild. But it also might be short-lived as the Predators, providing Pekka Rinne is healthy, look like a force to be reckoned with. Both Peter Laviolette and Paul Maurice could be finalists for the Jack Adams coach of the year award, but Laviolette seemingly has more talent to work with. That said, if the Jets could get a split to start the series in Music City, then look out when the scene shifted to Manitoba. Still, the Preds in six sounds about right. 2) St. Louis Blues vs. 3) Chicago Blackhawks = A rematch from last season that the Blues would certainly want to avoid. The Blackhawks are battle-tested and will be a tough out for anybody. St. Louis would have a different look in goal, ditching Ryan Miller for his former backup Brian Elliott, but that swap doesn’t instill any more confidence. Nor does Jake Allen, or even Martin Brodeur if he’s still in the picture come playoffs. It went six games last year, with Chicago prevailing, but the Blackhawks probably get the job done in five if their paths cross again. 1) Tampa Bay Lightning vs. WC2) Boston Bruins = This isn’t a favourable matchup for the Lightning, either. Boston is built for the playoffs and has experienced several deep runs with this core group. Tampa Bay is loaded with youthful exuberance, but would need Ben Bishop to outplay Tuukka Rask to pull off this “upset” despite having home-ice advantage. The Lightning will have to earn their stripes sooner or later and this could be their coming-out party. It really could go either way, but gut feeling suggests Steven Stamkos finds another gear and Tampa takes it in seven. 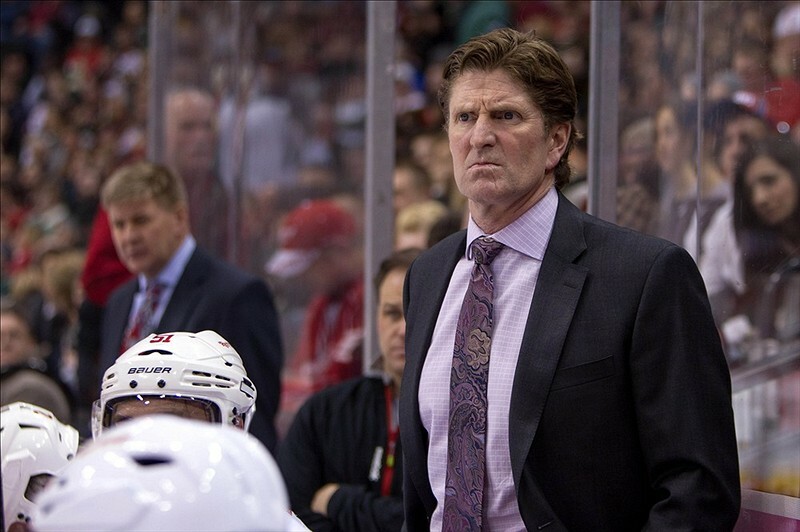 2) Detroit Red Wings vs. 3) Montreal Canadiens = Mike Babcock versus Carey Price. Can the Red Wings stay healthy the rest of the way and extend their record streak of playoff appearances to 24? It’s looking like a strong possibility and Detroit has the prospect pipeline to be buyers at the trade deadline. With a subtle addition or two, this team could return to prominence. Zetterberg, Datsyuk, Franzen, Kronwall and Howard haven’t forgot how to win when it matters most. The Habs went all the way to the East final last year and have picked up where they left off this season, led by Subban, Pacioretty and, of course, Price. This could be another coin-flip, but for the sake of predictions, let’s say Red Wings in six. 1) New York Islanders vs. WC1) Washington Capitals = It’s anybody’s guess what would happen if these two teams met in the first round. On paper, it’s John Tavares against Alex Ovechkin, but in reality, it would come down to Jaroslav Halak against Braden Holtby. It remains anybody’s guess as to how that would play out. Both teams missed the playoffs last year, but the Islanders are really looking like a budding contender. With home ice on their side, the Isles make the most of it and outlast the Caps in seven games. 2) Pittsburgh Penguins vs. 3) New York Rangers = Another potential barnburner, and another rematch from last year when the Rangers ousted the Penguins in seven games of their second-round series en route to reaching the Stanley Cup Final. Henrik Lundqvist shut the door and was the difference in that matchup, so it would be hard to bet against him this time around. It’s equally difficult to bet on Marc-Andre Fleury in the playoffs, even though he’s the netminder with a Cup win on his resume. Sidney Crosby is still the best player in the league, and if he’s healthy — which he clearly wasn’t last year — he could carry the Penguins to the promise land again. Crosby or Lundqvist, that’s a tough one, but Crosby will definitely have something to prove. For that reason, I’d lean towards the Penguins in seven, earning redemption by reversing the outcome. 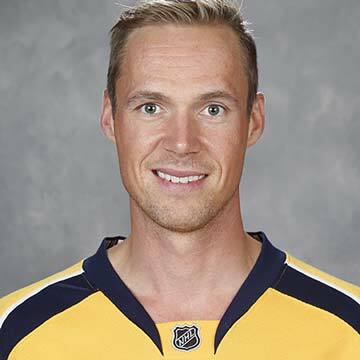 Pekka Rinne = He’s the favourite for both in my eyes. The Preds are a totally different team when he’s between the pipes, exuding confidence and pushing the pace in knowing he’s got their backsides covered. As far as Most Valuable Player to their team goes, Rinne fits the bill better than anybody else. Rick Nash = Yes, the guy who scored all of 3 goals in 25 playoff games last spring and was raked over the coals as a result. 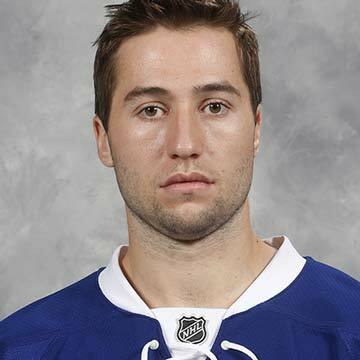 He’s rebounded in a big way, technically tied with Tyler Seguin at 28 goals but in 2 fewer games (44). That puts Nash on pace for 52 goals, but previous winners Ovechkin (27) and Stamkos (26) are within striking distance, so it wouldn’t be shocking to see either (or both) of them overtake the current co-leaders. 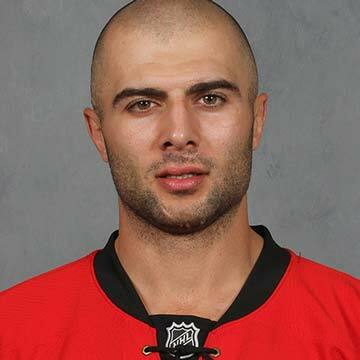 Mark Giordano = This is the closest thing to a slam-dunk at this point, as he’s captained (and carried) Calgary into playoff contention. Giordano was on fire out of the gates and hasn’t flamed out thus far. Shea Weber has been in beast mode again this season, while Dustin Byfuglien has been unstoppable since shifting back to defence. Erik Karlsson and P.K. Subban are heating up too, so that foursome might just make things interesting over the final 30-plus games. Kevin Shattenkirk and Brent Burns are second and third in defence scoring, but their overall game isn’t at the same level. 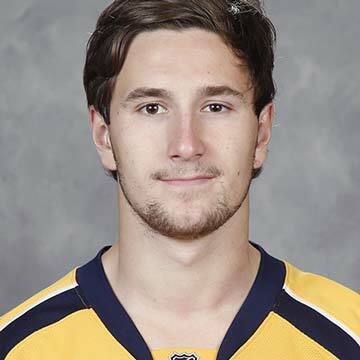 Filip Forsberg = Remember when this guy was traded, essentially straight up, for Martin Erat? Somewhere, former Washington GM George McPhee must be banging his head against the wall for that blunder. Then again, if Barry Trotz had given Forsberg a prime gig last season, he might still be employed in Nashville instead of Washington now. Forsberg hit the ground running when Laviolette started him on the Preds’ all-new top line with James Neal and Mike Ribeiro. But maybe don’t hand him the hardware just yet, as Calgary’s Johnny Gaudreau and Florida’s Aaron Ekblad, the top pick from the 2014 draft, remain in hot pursuit. Mike Babcock = Followed closely by Paul Maurice and Peter Laviolette, in that order. Babcock is in the final year of his contract with the Red Wings and rumours are rampant that the Toronto Maple Leafs will take a run for his services in the off-season, but Detroit would be wise to retain him given his recent efforts. 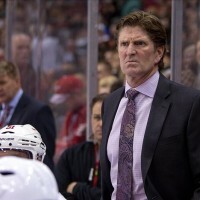 Babcock has coached Canada to consecutive Olympic gold medals in 2010 and 2014 and previously to world-junior gold in 1997, but he’d love nothing more than to add another Stanley Cup. He guided Detroit to hockey’s holy grail in 2008 — his one and only Cup to date — and has the Red Wings heading in the right direction again in 2015. 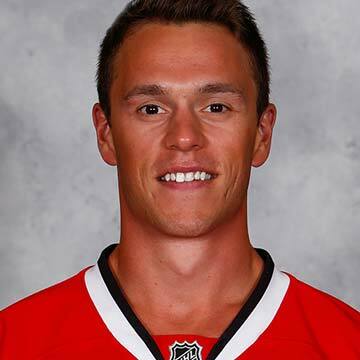 Jonathan Toews = He’s just such a stellar all-around player that consistently gets the job done at both ends of the ice. Toews has won this award once before, in 2013, while Patrice Bergeron is a two-time winner, including 2014, so he could be in the running again too. Looking beyond the usual suspects, Philadelphia’s Sean Couturier or even Derek Stepan of the New York Rangers could get some votes. Tyler Johnson = He’s always smiling and although he might be a bit of a mouthpiece — or at least a harmless chatterbox — he doesn’t spend much time in the sin bin with only 12 penalty minutes through 47 games. Patrick Kane has only 2 PIMs thus far and Logan Couture just 6, so among the top-20 scorers, you’d definitely have to give them consideration for the Most Gentlemanly award too. Then there’s Calgary hot-shot rookie Johnny Gaudreau, who has yet to take his first NHL penalty, flawless through 47 career games. Garth Snow = Don’t laugh, this is serious. 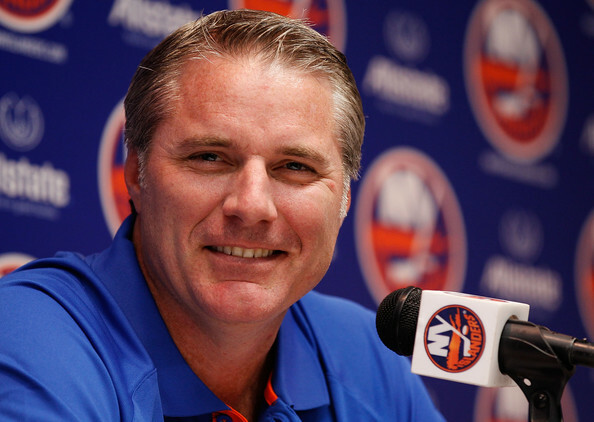 He’s masterminded the Islanders’ resurgence with several bold moves. He might have been acting out of desperation, attempting to right his wrongs from last season when he traded a conditional first-round pick to the Buffalo Sabres for Thomas Vanek and then put the pressure solely on himself by deferring that pick from 2014 (5th overall) to 2015. But Snow has been getting the job done ever since that decision. 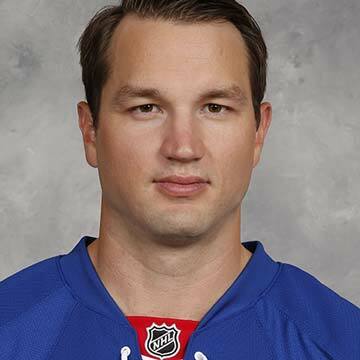 He traded for Halak’s rights and signed him before he hit the open market as a free agent. He acquired both Johnny Boychuk and Nick Leddy to bolster the defence, pulling off those pre-season trades on the same day (Oct. 4). In doing so, Snow targeted teams in salary-cap trouble — Boston and Chicago — while maintaining a very reasonable payroll with plenty of cap-friendly contracts. Now, the future suddenly looks bright for Brooklyn — the franchise is leaving Long Island after this season — and Snow deserves full credit for overcoming his past mistakes. David Poile in Nashville, who cashed in on some bargain-bin signings that are paying dividends, Jim Nill in Dallas, who acquired his second top-six centre in less than two years on the job by trading for Jason Spezza, and Jim Rutherford in Pittsburgh, who has improved the Penguins’ depth at all positions, are worthy of honourable mentions. Alas, the season is not actually over as of today. It is, in fact, just past the midpoint, and if we’ve learned anything to date, it’s to expect the unexpected over the next 3 to 5 months. Personally, I see Crosby rallying to win another Art Ross; the Ducks staying strong to capture the Presidents’ Trophy; the Kings overtaking somebody — probably the Flames — for a playoff berth before advancing to the final four again; the Flyers eventually coming to their senses and firing Craig Berube; and last-but-not-least, Connor McDavid becoming a Buffalo Sabre, which was the likeliest scenario from the outset. As for my Cup winner, I’ll predict a West champion for the fourth straight year and alternate back to the Blackhawks!